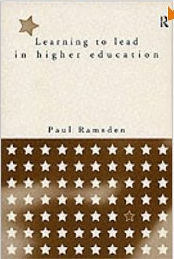 Learning to Teach in Higher Education (second edition, 2003) and Learning to Lead in Higher Education (1998) are my best known publications. Learning to Teach in Higher Education has inspired a generation of academics to think about their teaching differently and to practise it more professionally. Described as ‘the gold standard of university teaching textbooks against which new books in this area should be measured’, it has been read by tens of thousands of faculty members all over the world. Learning to Teach has been cited over 5000 times (and counting), according to Google. Read the Preface and an extract from Chapter 1. Read a recent review. Read a commentary on it by a practising academic here. 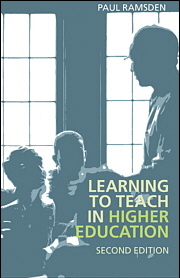 Learning to Lead in Higher Education is a book for academic managers. It aims to provide them with an evidence-based account of how to lead and manage their work units effectively in turbulent times. As one reviewer said of it: “Far from constituting an unreflective and ‘unreal’ importation of ‘quick-fix’ business solutions into an HE setting, this is a genuinely useful tool for managers and would-be leaders in the university”. Read the Preface and an extract from Chapter 7. My other books and my academic papers are listed in the biography. Read a piece I wrote in 2010 on improving university teaching here. Some of my other pieces and articles can be found on the work page.